SemiGen - RFMW UK, Ltd.
RF Diodes — Tuning Varactors, step recovery, multiplier, PIN, limiter, point contact, schottky mixer and detector, chip caps, spiral inductors, attenuator pads and silicon resistor chips. SemiGen is an RF/microwave solutions company that provides the manufacturing services and products you need to fill the voids in your supply chain and manufacturing floor. Our team combine decades of experience and knowledge together with the newest equipment and technology to help you build the highest quality devices in the world. We simplify procurement and can save you money while increasing throughput and deliveries. Facility is 17,000 square feet. It includes a class 10,000 clean room and features a quality system certified to ISO9001-2008. We are a private company, ITAR Certified and have strict policies governing customer-supplied information. 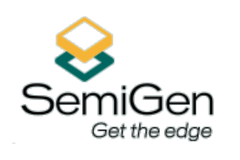 SemiGen is a company that strives to make our customers successful. Let us give you the edge you need today. 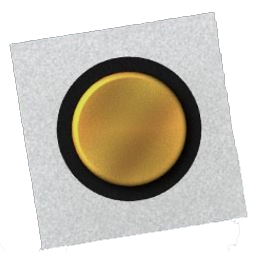 SemiGen SLP7100 series of Limiter Diodes are processed with a high-resistivity epi that have thin intrinsic layers. 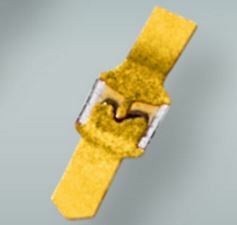 These devices are typically in the 2 to 20 micron range of epi thickness and can be gold doped to achieve specific performance goals. These diodes are used in passive or active limiter designs in the 100 MHz to 30 GHz frequency ranges. SemiGen SGP7000 series of PIN Diodes are processed with a high-resistivity epi that have intrinsic layers that range in thickness from 4 micron to 200 micron depending on performance specifications. These devices are typically manufactured with either a robust thermal-oxide passivation or ceramic glass for durable high-power applications. These diodes are made with a grown junction P++ layer that yields abrupt junction structures that provide low punch through voltages and minimize auto doping. They are available as chips or in your choice of packages.